This is how a typical Delco Pump and Water system would be set up in the basement. Many times when newer plumbing systems were installed the old systems were simply bypassed and left in place. Water systems are not as exciting as other light plant accessories but are still an important part of the story of rural life, Delco history and any complete collection or display. Some older main street plumbing shops may even still have a complete new old stock rebuild kit or two sitting on a dusty shelf. 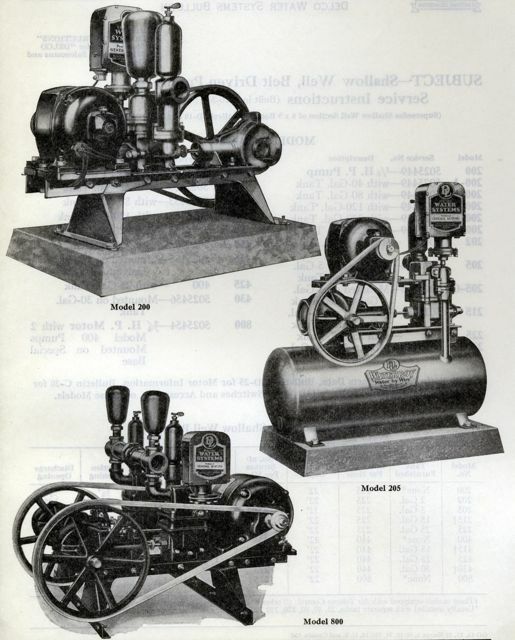 The Model 200, 400 and 800 series belt driven pumps were built from 1926 to 1933. During this era model numbers were assigned much the same way as light plants were - the model number indicated the capacity in gallons per hour of the pump. 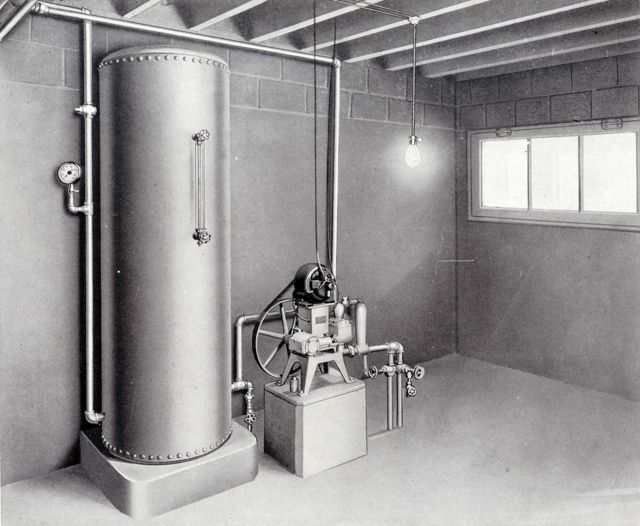 Early water systems came with a basic steel tank that could be upgraded to either an enameled or galvanized tank. Models A-AH were powered by either a 1/6 (standard) or 1/4 (high pressure) horsepower motor and were very widely used. 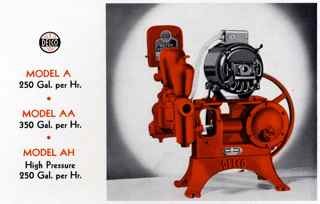 All Delco pumps from this era were finished in Romany Red enamel.